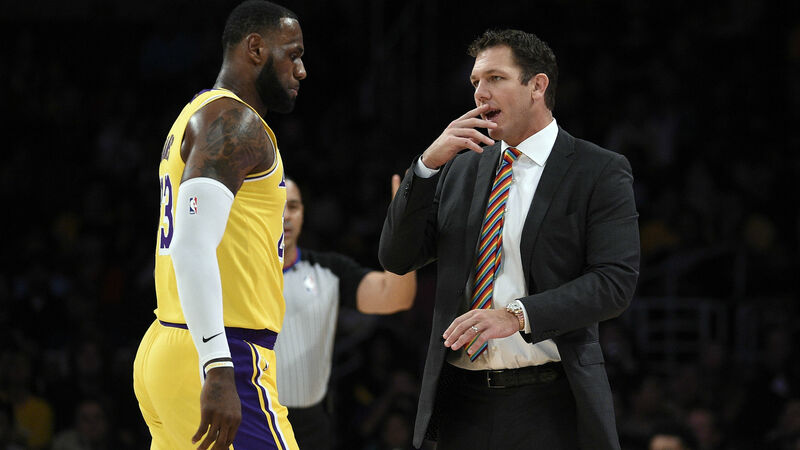 Los Angeles Lakers coach Luke Walton plans to utilise a deep rotation in 2018-19. The Lakers re-signed Kentavious Caldwell-Pope and inked Lance Stephenson, JaVale McGee and Rajon Rondo, as well as Michael Beasley, to contracts after LeBron James announced he was joining the team in early July. Walton told ESPN on Wednesday that he is aiming to use a variety of different lineup combinations this season. "We want to play fast, and to do that we've got to get guys in and out and in and out," Walton said. "So, we'll get a good amount of guys out there." James averaged 36.9 minutes per game with the Cleveland Cavaliers in 2017-18. Walton said he is hoping to bring that number down in order to keep his star "fresh" throughout the four-year contract he signed with the Lakers. "That's a goal for us," Walton said. "And it's a goal that we're on a journey and it's not a one-year journey. We're continuing to try and be our best season by season, but also as each one goes on. "And obviously he gives us the best opportunity to be at our best." The Lakers will open their season against the Portland Trail Blazers on Thursday.